Above data only shows the classic characteristic of this product, not represent the whole specification range. This product is designed specially for removing foam during the paper making process in paper-making industry. 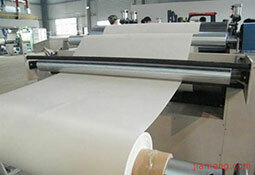 It’s one of necessary and product for producing good quality paper and improving the production stability. It is very important to remove and suppress foams during the paper making process, otherwise it can cause breaking paper, fluctuation of white water level and pump frequency. 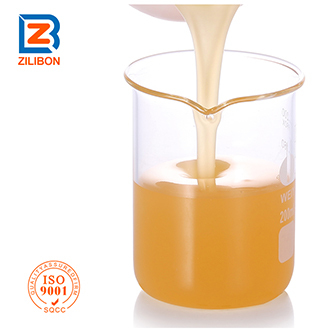 Zilibon paper making defoamer has strong ability to remove and suppress foam, which can get rid of tiny blister between fiber, as well as the surface foam which floating on the slurry. Thus, this defoamer can reduce the effect caused by foam during the production process, bringing better uniformity to the paper and improving the quality greatly. (1)It’s a new&efficient defoamer designed specially by higher aliphatic alcohol, polyether, as well as high efficient defoaming material. (2)Fast removing foam and lasting foam suppression ability. 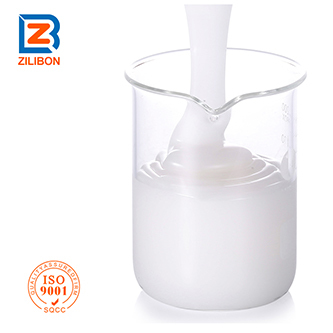 (3)Good dispersibility, dynamic defoaming, silicone-free. 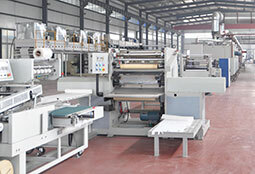 (4)Good product stability, it’s the updating product for paper making industry. (1) Removing the surface foam of modified starch from white paper, as well as the adsorbing foam on dehydrating fiber. (2) Removing the foam from polyacrylamide retention acid system. (3) Removing the surface foam from AKD emulsion white water system , as well as the adsorbing foam on dehydrating fiber. (4) Starch gelatinization, and other processes which cannot use organic silicone. Please add this product directly to the foaming system after the foam appearing, especially when it can be well disperse by sufficient stirring, not need to dilute it. If need to dilute it, please contact us to get the correct dilute solution. Do not dilute it with water directly , because it may cause delamination or breaking of emulsion situation. According to different operating system, the dosage range is 10~1000ppm. 1. Packing: 30kg，60kg, 120KG, 200KG ,1000KG/Plastic drum, or as customer required. 4. Transportation: This product must be sealed well during transportation and prevent from Moisture, Strong acid &alkali and water etc.